When you are coming to see pups this is our home go to the white building. For over 20 years, I have had the good fortune of doing something I truly love: raising English Cream Golden Retrievers, Irish Setters, Irish Doodles, and Golden Doodle puppies in Home, PA, finding them loving homes, and helping various other animals stay healthy with quality health supplements. I’ve always had an affinity for animals, and my passion for dogs started long before I started raising them with my children. Animals –dogs especially – have played such a major role in my life and the lives of my children, as evidenced by the fact that my two children Kiersten Gromley and Bryce Gromley are co-owners of Plumcreek Acres LLC and other animal-related activities. My daughter, Kiersten, has been showing dogs, hogs and goats for 14 years and has recently branched off to help the judges at the shows. Kiersten also helps handle the dogs and gets them prepped and ready for the ring. Kiersten was a Master Degree in Speech Language Pathology where she has earned a 3.5 GPA while play 2 sports for Clarion University. I credit her work drive on being raised here on the farm with animals. My son, Bryce,age 18 is also active in the show world, and with his love of animals, we have ended up having a small zoo. Bryce is our kennel’s main dog handler, enjoys showing his own livestock and is also a member of Future Farmers of America (FFA). Bryce is the owner of all the Irish Setters. Bryce has used his ownership in the business as his FFA SAE project . I am proud to announce Bryce has earned the Keystone State Degree and is Western Pa Star Award representative for business. Bryce has also branched out with fresh natural pork and grass fed beef. He is also active in sports at Marion Center and continue to achieve academically. I am proud of all I have achieved in life , but I am most proud of the children I have had the honor to call my kids. If you are interested in all natural pork or grass feed beef please send us an email . 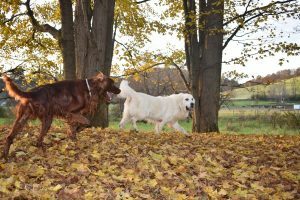 At Plumcreek Acres, we offer English Cream Golden Retrievers, Golden Doodles, Irish Doodles, and Irish Setter puppies for sale in the Indiana, PA area. 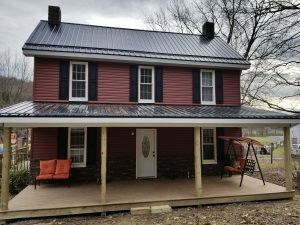 Our kennel is fully licensed and my personable puppies are raised on 22 acres of open field, giving them the unique opportunity to run freely and swim in nearby creeks. During their time with us, each Plumcreek Acres puppy is treated as if he or she is our own and is fed TLC Puppy Food and given Dog Bloom Supplements. My puppies are renowned for their superior pedigree, fun-loving personalities and loyal companionship. A large part of what makes the quality of these pups so high is the use of Dog Bloom Supplements, and I highly suggest that all puppies purchased from Plumcreek Acres stay on them for the remainder of their lives. I am a proud dealer of Dog Bloom and stand behind the use of their various performance, nutritional and health supplements for dogs. If you have any questions about the health supplements we use for our dogs, or supplements for cats or equine animals, I would be more than happy to help. There is nothing I love more than helping my English Cream Golden Retrievers, Irish Setter, Irish Doodle and Golden Doodle puppies find wonderful homes where they can live long, happy and healthy lives. If you would like to learn more about our upcoming litters or the Bloom health supplements for dogs, do not hesitate to contact me at 724-397-2798 or 724-741-7548. 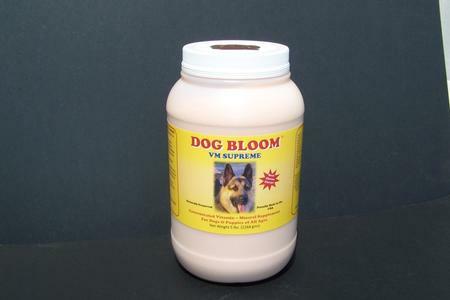 Here at Plumcreek Acres we have been using bloom products in our breeding program for years! 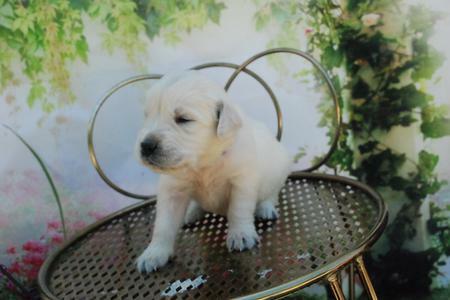 Click here to see our most up to date available Golden Retriever Puppies! 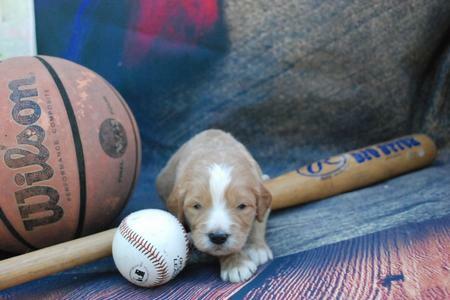 Click here to see our most up to date available Golden Doodle Puppies!